JAN-PRO Franchising International, a leading commercial cleaning franchise and subsidiary of Premium Franchise Brands, has been recognized as the number one franchise based commercial cleaning business for the eleventh consecutive year in a row by Entrepreneur Magazine. Earning the top spot in the magazine's annual Top 500 List, JAN-PRO once again outranked industry competitors based on quantifiable criteria including system size, growth, financial strength, franchisor support, brand equity, and stability. JAN-PRO is proud to celebrate and share this accolade with over 140 Master Franchisees and 8,000 Unit Franchisees who operate local JAN-PRO franchises around the world and uphold JAN-PRO's nearly 30-year history of providing commercial cleaning service excellence. As the industry leader, JAN-PRO is dedicated to staying on top and growing the brand by continuing to provide opportunities to those looking to fulfill their dream of business ownership while delivering unparalleled support to new and existing franchise owners. 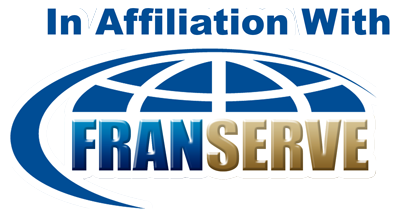 JAN-PRO Franchising International is a leading global commercial cleaning brand with a strong reputation for supporting our franchise network and providing service excellence to our customers. Our proactive philosophy that honors commitments to our franchisees and clients has empowered us to excel in the commercial cleaning space and provide franchise opportunities for local business owners looking to grow with our brand. For more information about JAN-PRO, visit www.janpro.com.